MegaCon truly is like Christmas for a great many of us. I watch an increasing number of friends, family, and acquaintances getting anxiously prepped for the fandom extravaganza each year, and I can genuinely say that the enthusiasm that swirls around it is at least equivalent to the excited frenzy that one may notice for the arrival of Santa Claus, or other such annual icons. Yes... it's like that, and every year it seems to get a little better - slowly evolving into the perfect geeky beast. MegaCon remains one of the few events that my kids and I can all benefit from, although we do tend to split up for our own individually-tailored adventures once we arrive. This is the primary reason MegaCon appeals so much... it's very inclusive. 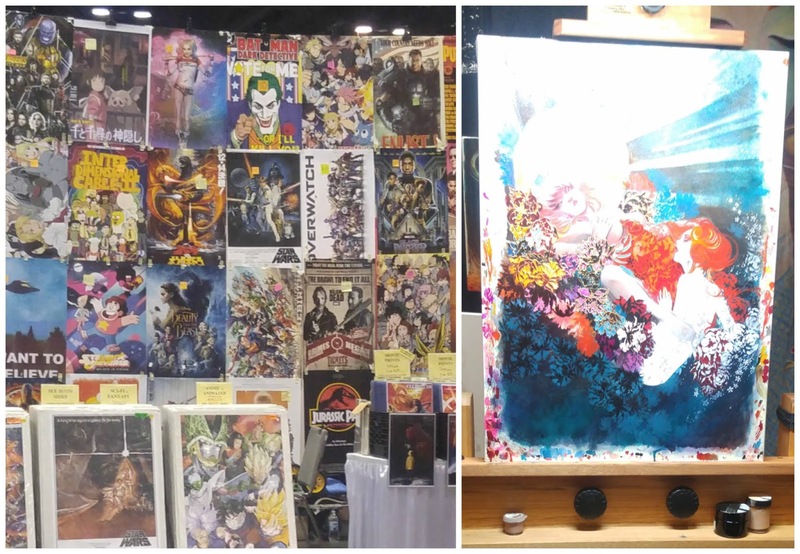 Conventions have become a frequent occurrence in the Central Florida area, but MegaCon is one of the few that gives equal attention to all things fandom. I can benefit from the event just as much as my son - even though I haven't followed anything anime in the last ten years - and my son has all but lost interest in television serials. My daughter (whose greatest passion is shopping), considers this to be the most worthy occasion for spending, so she has her own method for MegaCon enjoyment. While Tony and Sierra focus heavily on the things they know best, my approach is always broad exploration and discovery! 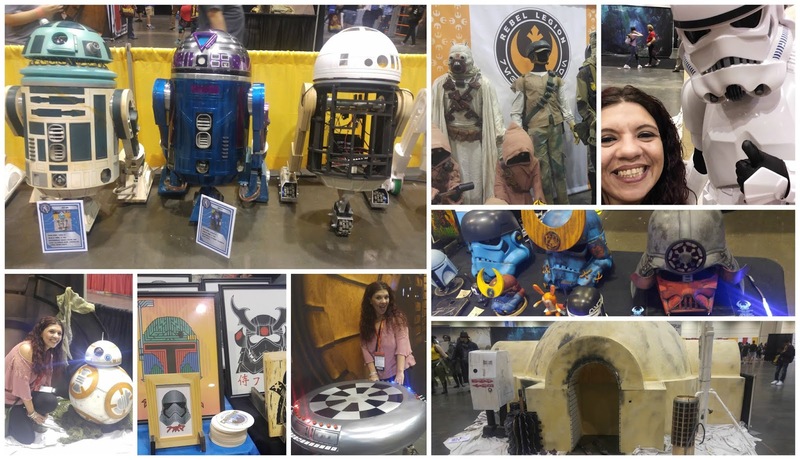 So, how did we fare at MegaCon 2018? This was Tony's first year going into the event with an advance plan for cosplay. Taking it rather seriously, he chose two roles to play this year, carefully selecting the pieces and organizing his look for a couple months in advance. Though it still doesn't compare to the efforts of many attendees, he had a goal to use his cosplay as a social tool and it worked. On day one of his attendance, he was YuGiOh's Kaiba, and on his day two, he was Kaito Momota from Danganronpa. He's always appreciated the fan-organized cosplay meetups that inevitably spring up at MegaCon, so this time he had the impromptu idea to take charge and wrangle up his own mini-meet of Danganronpa cosplayers. They met up in a hallway, posed for pictures, and shared some chatter as an easily distinguishable group of like minds. Of course, on his Kaiba day, it only made sense that he spent some time at the YuGiOh dueling area. He raved about this feature on the vendor floor, and it did remain well trafficked throughout the weekend. Each year, some cosplayers and other attendees will create Facebook events centered around meetups for photo sessions or simply for a social opportunity. These "unofficial" events are worth seeking out. Sierra and Tony always find a couple to take advantage of, and they always end up glad they took notice of them. 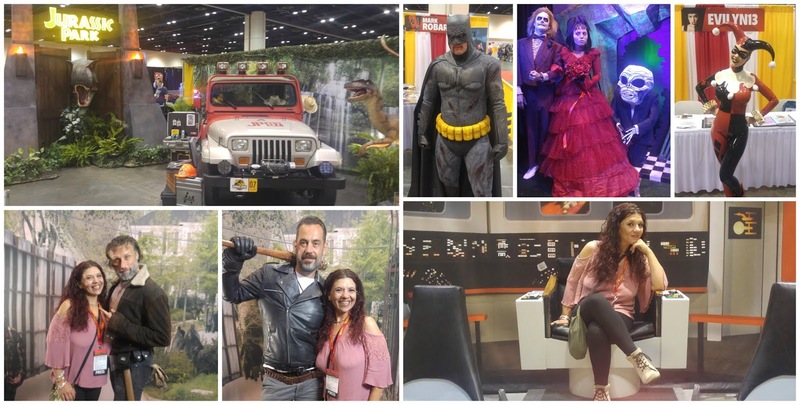 This year, MegaCon featured more official themed cosplay meetups at the Cosplay Photo Park, along with "flash mobs" and other prominent gatherings with the likes of heroes and villains from the DC and Marvel Universes, Pokemon, and The Walking Dead (among others). 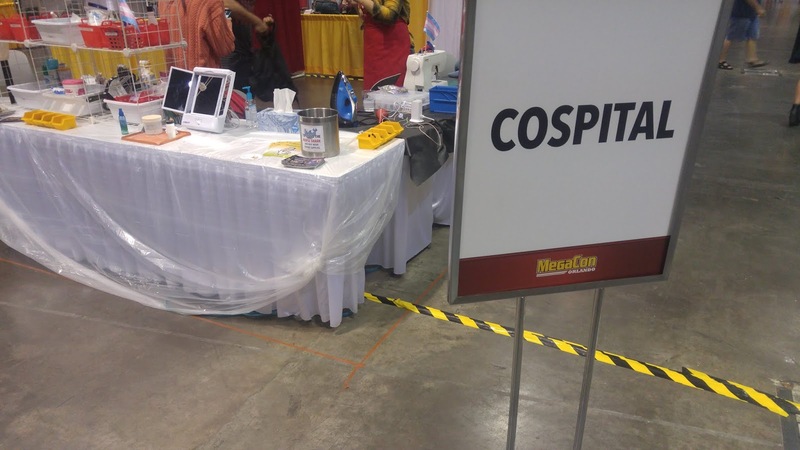 From the standpoint of a cosplayer with a spot of bad luck, Tony had to visit the Cospital on both days of his MegaCon adventure. 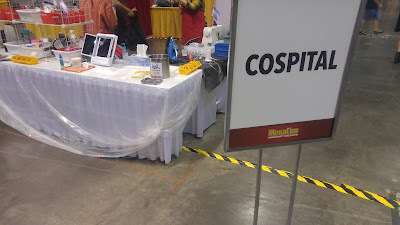 Even with legions of costumes being put to the test for very long days of convention-floor battle, the Cospital remained very well-stocked and staffed by friendly, speedy folks. 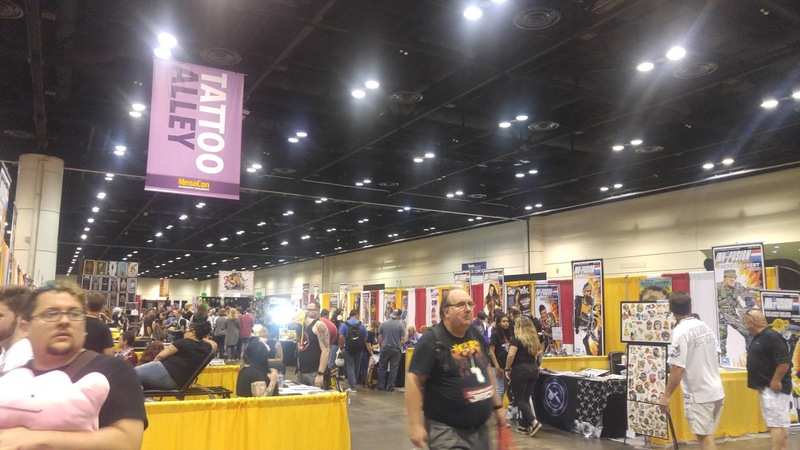 For Tony, MegaCon provides an opportunity to experience a side of himself that is typically uncomfortable to tap into. 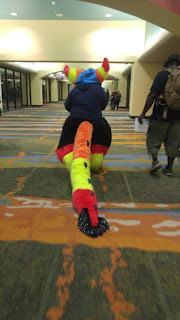 He appreciates the large gathering of cosplayers, and the opportunity to feel more invited to socialize thanks to the comforts of obvious connections in interests and the regularity of other guests making the first move of approaching him as they ask for photos. Usually, he shies away from photo ops, but his confidence is bolstered by the costume and the people who are interested in talking with him about subjects he is well-equipped to discuss without the awkward guesswork involved. Now that Tony is stepping up his cosplay game, it's only a matter of time before we can feature a firsthand perspective from a cosplay contest participant... mark my words! Sierra can cover the vendor floor like no one else. While many may find it to be a gloriously endless maze of merchandise, she can map out exactly who has what and where they are. If MegaCon ever sees fit to hire shopping concierges, she should be first in line to apply. I made mention that I wanted two simple things - a Walking Dead themed grab bag and something unique that involved Groot. Well, Sierra is the grab bag queen, and while I'm not very comfortable taking risks (hence my choice of a tightly themed bag), Sierra will buy grab bags - an increasingly common mystery styled item at conventions - with reckless abandon. I set Sierra loose to find me a grab bag, and she did not disappoint! For $20, she located a Walking Dead mystery grab bag that included a vinyl auto cling, a color 8X10 photo from a show scene, and the season one Blu-Ray. Not bad at all! Of course, she also splurged on a variety of grab bags for herself, containing a vast assortment of silly trinkets, plushies, candy, wearable accessories, figurines, and so much more. The prices for these started at just $10! In her shopping travels, she also found a perfectly unique Groot memento for me - a "Pot People" character made by the exceptionally talented Sara Galbraith. All in all, between her shopping and my special requests, Sierra spent a crazy sum of money, but the two days she wandered there found her loaded down with bags in a similar fashion to Julia Roberts in Pretty Woman. 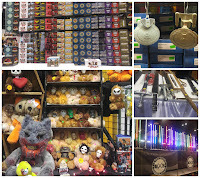 Additionally, when we checked some of the vendor's websites after the convention, we verified that we received some outstanding prices on the items we purchased. 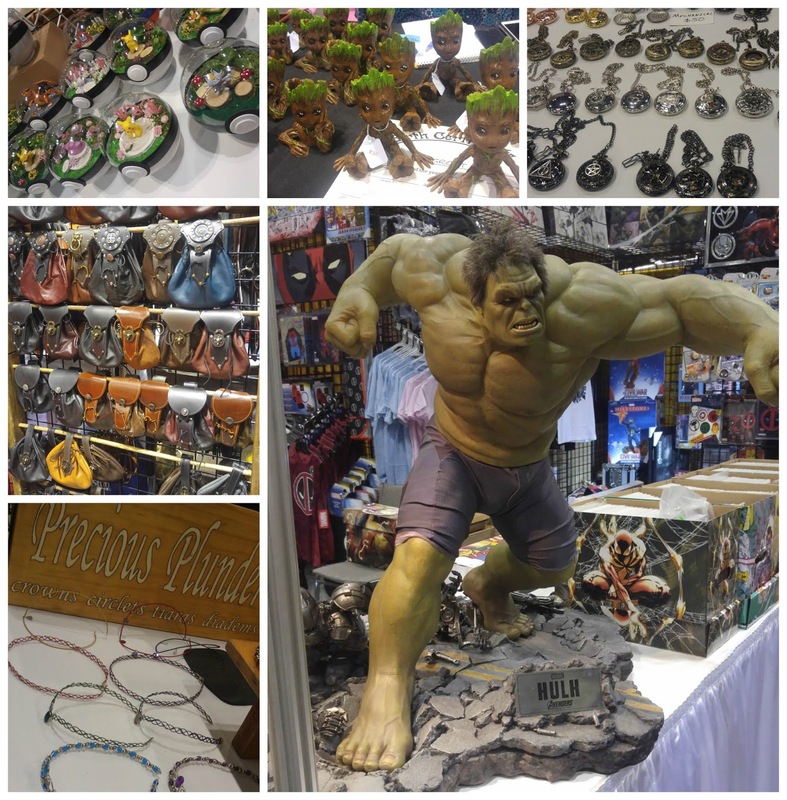 Sierra's shopping tips - hit the vendor floor hard on Thursday and Sunday. Thursday, crowds are the lowest and merchandise has yet to be picked through by the masses. By Sunday, what is left is often on deep discount because vendors want to lighten the load for their trip home. 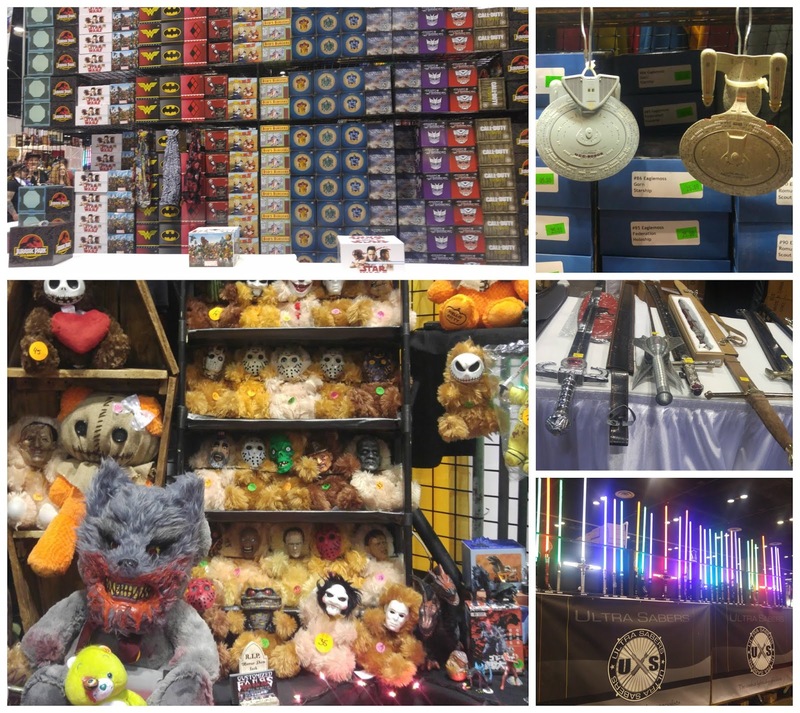 Buy the rarer items you cannot live without on Thursday, and double back on Sunday to see what deals you can find on items remaining that originally caught your eye at the beginning of the convention. Look for bargains, BOGOs and other such deals at every turn. When shopping for grab bags, seek out themed packages if you're a bit picky. Oftentimes, you can also swap items with friends if you do find something in a grab bag that isn't quite on your interest list. Conventions are a great place to find one-of-a-kind merchandise, autographed memorabilia, and handmade items. In many cases, you're also helping to support artists and small businesses. I make a sincere effort to diversify my convention experience. I love catching panels, and these are scheduled in advance - so, the first step in my convention plan involves downloading the MegaCon app to get my panel schedule set. Once the event schedule is released (only about one to two weeks prior to the convention date), you can save any events you don't want to miss to your own personal schedule. You can even set reminders according to how much notice you choose for each event. For celebrity panels (especially those in the Chapin Theater), you want to plan your arrival in advance to assure you will get in. My advice - to play it safe, pass by the room that a celebrity panel is set to be held in about 45-60 minutes in advance to check out the line. 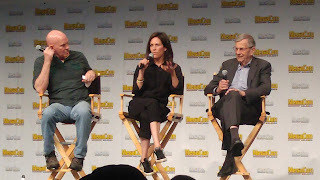 I had originally planned to attend the Paul Reubens panel, followed by Michael Cudlitz (in the same room, back-to-back). When I saw the large line formed for Reubens an hour before his scheduled panel, I knew I would be far back in the audience (not my preference), and I would likely be unable to secure a good spot for Cudlitz, getting in line just as the new audience was beginning to file in! 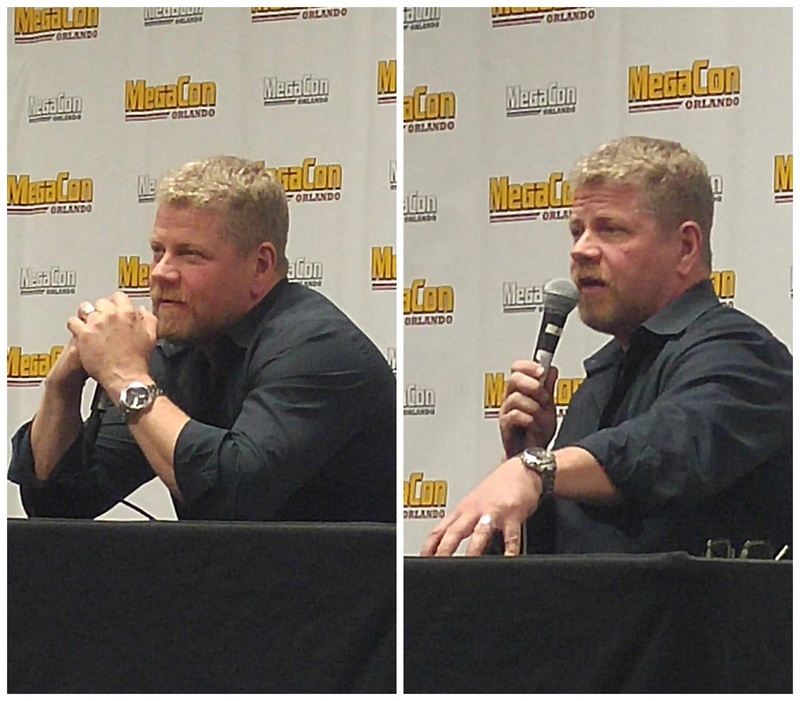 I made the call to circle back later for Cudlitz... a decision I do NOT regret. Sometimes, ya gotta make the tough choices! On the flipside, the MegaCon schedule always includes a variety of panels, workshops, shows, social events, games, and more that do not involve early arrival and lines. You're usually safe to arrive just a few minutes in advance of events that don't involve celebrities... and these are some of the most enjoyable aspects of the convention experience. 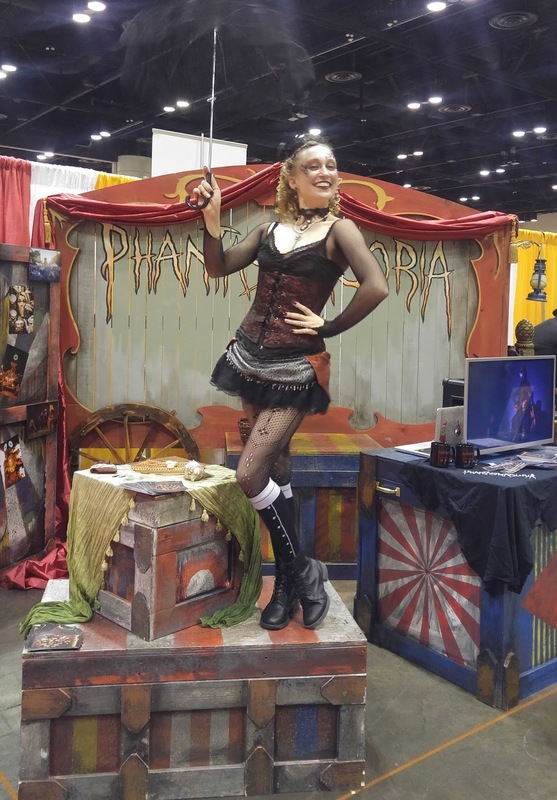 There's always a good deal of scheduled events centered around steampunk (like a splendid display of parasol dueling or teapot racing) and this year's convention also included a heavy dose of our local favorites, Phantasmagoria! On the vendor floor, each year seems to show a bigger Star Wars presence, and MegaCon 2018 offered a galactic display unlike any before thanks to the efforts of the Rebel Legion, the 501st, and the R2 Builders. Another area I'm thrilled to see growing... "setplay". I took notice of Cecil Grimes back at my very first convention, and he blew my mind. Taking cosplay to the next level, his "Rick Grimes" comes complete with the prison scene from The Walking Dead Season Three! Now, taking photos with a professional cosplayer has a whole new level of appeal! Cecil is a fixture on the convention circuit, and he typically has any number of tantalizing guests sharing the set. This time around, he appeared to have called a cease-fire with The Notorious Negan himself, as portrayed by Darren Tilson. Darren posed for photos with Cecil and convention guests for the first two days of MegaCon, swapping out with Richard Dixon (as "Daryl") for the last two days. There were a few new sets to explore and cosplayers to pose with this year. I absolutely LOVED Beetlejuice and Lydia - outstanding!! If you love a good photo op - with or without cosplayers involved, MegaCon has got you covered! Beyond these highlights, the four-day event held more options for amusement than ever before. 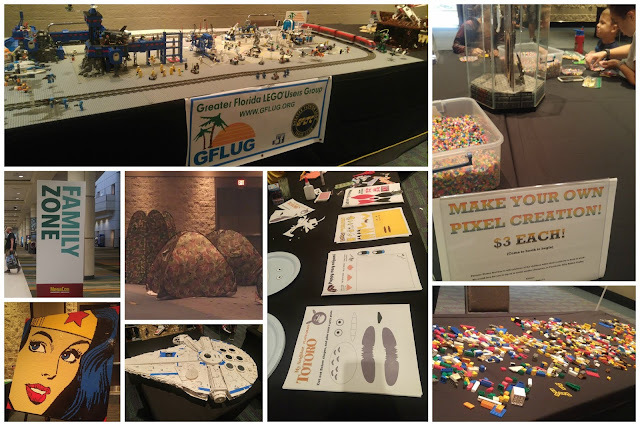 The Family Zone was expanded to include more hands-on fun and themed events for the younger attendees. This was conveniently located adjacent to a supremely cool Nerf battlefield! Tattoo Alley seemed steadily packed this year, with a nice buzzing hum consistently running from this segment of the convention floor all weekend long. I think this one is going to have to make it to the firsthand experience list ASAP as well! Artists of every style make a strong showing at MegaCon. While they tend to designate an area for comic artists, it goes much further than that. Of course, they're a huge draw, and it's quite intriguing when you have the chance to stop and watch them in action as they actively demonstrate their skills, creating new works before your eyes... but the artistry is really everywhere you look. Among the celebrity tables, you'll find artists of all types: actors from television and movies, voice actors, and even athletes. The professional cosplayers have created their costumes and sets. 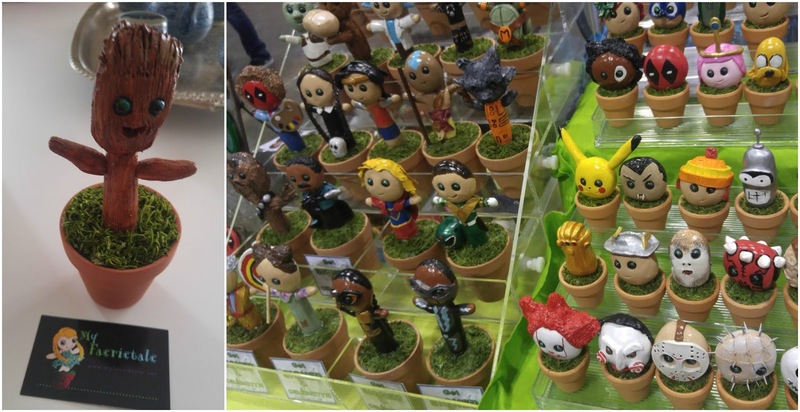 Although many vendors are pitching commercially manufactured merchandise, a significant number are selling items they envisioned and created themselves. 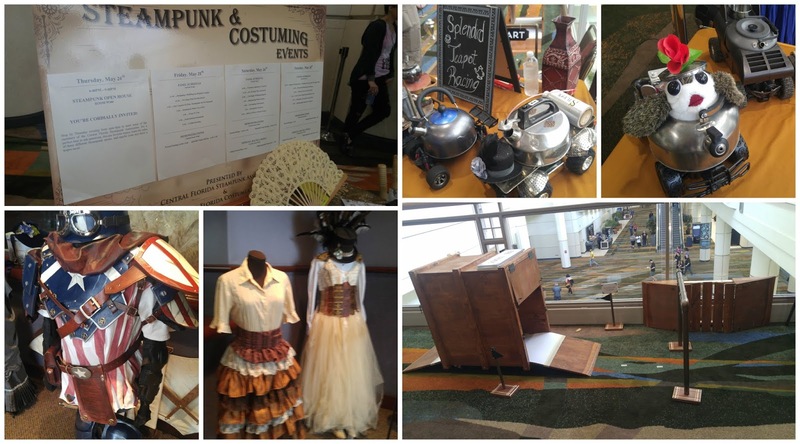 Even fellow attendees are often displaying their own creative talents with cosplays and other forms of personal self-expression. With an estimated attendance announced to be 100,000 just prior to the start of the event, that's an awful lot of passionate, creative minds sharing space. 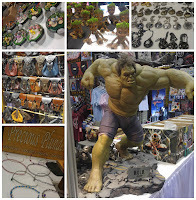 If you have yet to experience MegaCon, I cannot overstate the value of the event. Every year, I end up discussing MegaCon with people as they see our enthusiastic build-up for the start date, and one thing I hear every year is that people who are always considering going don't ultimately end up going because they just don't understand what to expect or what it is. What it is, is fun! What to expect - the unexpected! There was a time when I was completely mystified at the intrigue of "what exactly goes on in there" myself. 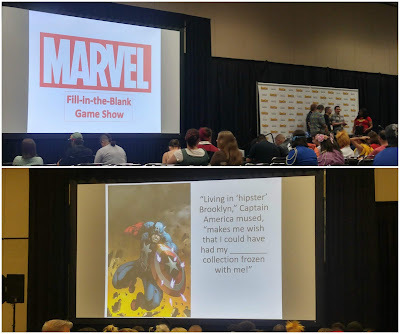 Now, I still can't say that I ever truly summarize it fairly enough to call it the complete idiot's guide to MegaCon, but I will say that it's an event I wish I had started attending sooner... and one that I don't soon intend to miss. You don't have to wait till next May to have your own MegaCon experience. Tickets will soon be on sale for MegaCon Tampa Bay, September 21-23!